Premier League Results: Score, Match Analysis and Highlights from the Fixture between Newcastle United vs Southampton on Sunday, February 24, 2013. Includes Video Highlights for U.S. viewers (as available). 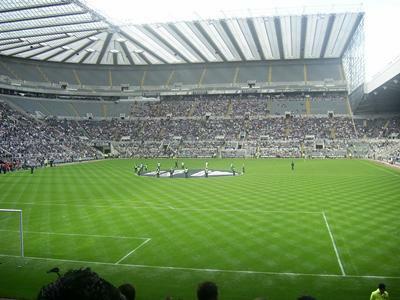 Newcastle took a 2-1 lead into halftime thanks to a wonderful long range strike by Papiss Cisse just before the half. The match was far from over at the point as Rickie Lambert gave Southampton the equalizer in the 50th minute. Newcastle showed a lot of heart in coming back to grab the lead and hold on to it. Southampton had more possession, but Newcastle was able to get more shots and did much more with it. The win for Newcastle gives them some distance from the relegation zone by moving them up to 14th place with 30 points. Southampton, meanwhile, drop down to 16th place, just 3 points above the drop zone.